Hi there, friends! And Happy President’s Day! Last week totally got away from me, but the school is on Winter Break this week so I’ve got just a bit of breathing room to catch up, work on my house, and share a few things with all of you! This is a tad overdue but I wanted to share my Word of the Year for 2017. It took a while this time for it to come to me… in fact, I really wrestled with it. But I finally settled on it and I’m quite sure it’s exactly where my focus should be for this year. Are you laughing? Puzzled? I have to admit I’ve had a few chuckling moments myself. After all, I have honestly never been working so hard… I run a preschool during the weekday, serve as Chairman of the Board for our fledgling 501(c)3 — talk about a learning curve! We’re readying our home to put on the market after 19 years, and I’ve just taken on an additional part-time job to help cover expenses that have popped up. I mean — REST?? Really? 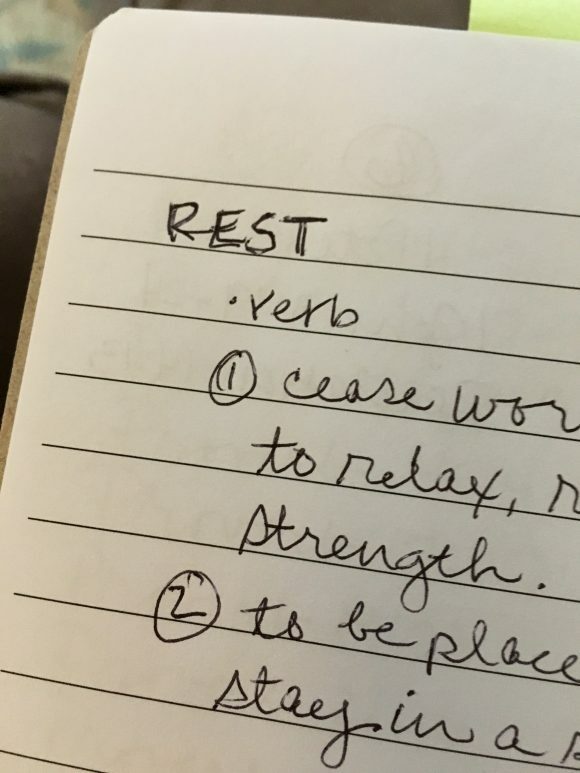 I added the emphasis on REST in this verse. There are so many other wonderful verses that mention RESTING in God’s promises, how He provides REST when we truly and humbly turn to Him, and He RESTORES freely those who love and trust in Him. I’m praying through each of those verses I come across, and in fact have begun a word study that I pick up and work on a few evenings a week. It’s become such a lovely way to wind down my busy crazy days! I am faithful to spend the beginning of each day with Him, but it’s another thing entirely to END the day with Him. If you’re interested I’ll share more about exactly how I’ve structured the word study in another post. In a much more mundane sense, I’m also resolving to let my body rest completely when I have the opportunity. That means not setting the alarm on Saturday mornings and heading to bed the moment I reach that point of stopping the day’s work and have had chance to wind down. No late night movie marathons or reading blogs until the wee hours. 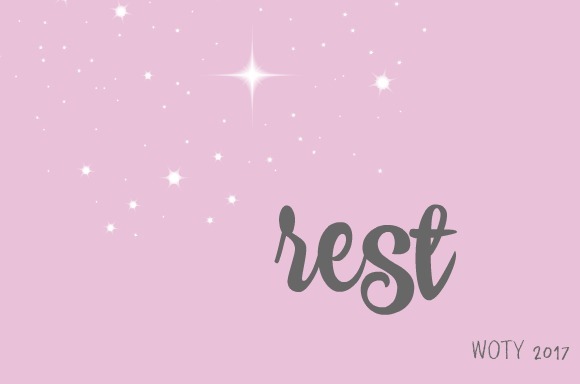 My battle with anemia is still raging, although it’s improved somewhat, so I am learning to guard those precious hours to truly rest my body. And so I’m camping out on the word REST for this year… this year of monumental changes and lots of working non-stop, I’m choosing to look to Him for my rest and restoration and to be intentional about how I spend my limited down-time. If you’re new to the Word of the Year concept you can also read about my WOTY for 2016, 2015, 2014, 2013 and 2012. Did you pick a Word for 2017? I would love to hear where your focus is this year! good for you….what a wonderful word and area of focus for the year. It sounds like you are super busy so I hope you are able to find those times to ‘rest’ and renew….even if it is for a few minutes.